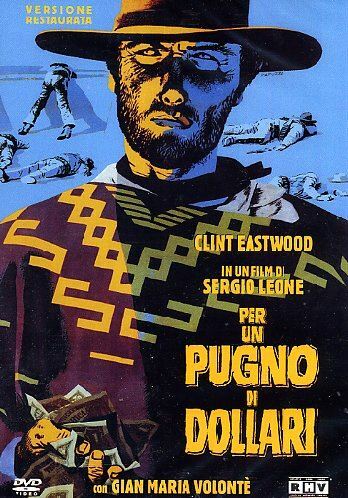 "A fistful of dollars" released in Italy in 194 and than in the US in 1967, it initiated the popularity of the Spaghetti western film genre. It was followed by "For a few dollars more" and "The good, the bad and the ugly, also starring Eastwood. The film's music was written by the Academy Award winning Ennio Morricone, credited as Dan Savio.